​Do you love the look of old paintings on aged,chipped and cracked walls? Have you always wanted to learn how to achieve just that look! These plaster painting classes will help you achieve just that. We will complete two different paintings while exploring the many possibilities of using plaster as a substrate for our paintings. LET ME TELL YOU MORE...For this class, I will be guiding you through two plaster paintings! You will learn how to create the plaster substrate and prepare it for painting. With plaster art, it's ALL about creating that antique, textured background for your painting. The first painting will provide you with the background technique to create the plaster substrate. Once you have learned how to setup the background it can be used in so many different projects. 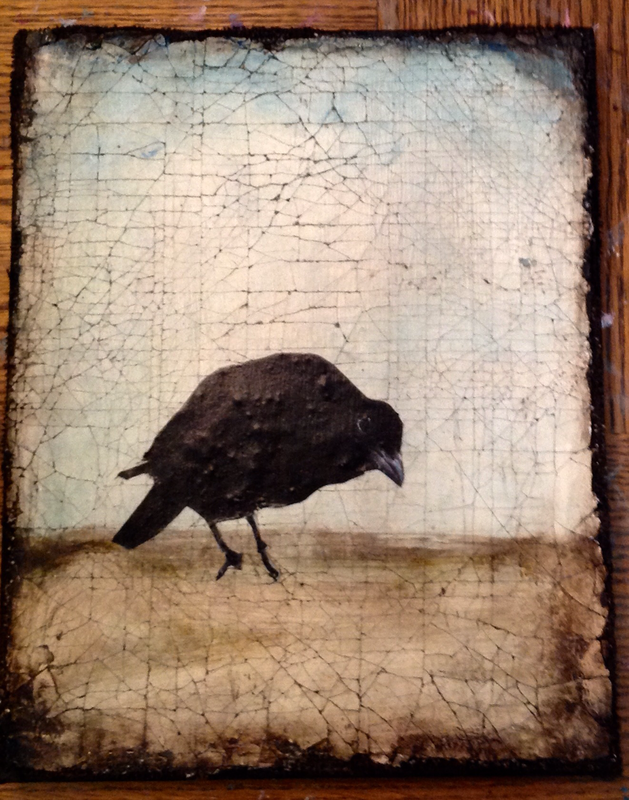 ​Project One-"Something To Crow About"
The first painting will explore the different ways to use plaster in setting up your paintings background. We will examine the difference between a rich, heavy texture with large cracks vs a smoother plaster with tiny cracks and look at when we might want to use them. 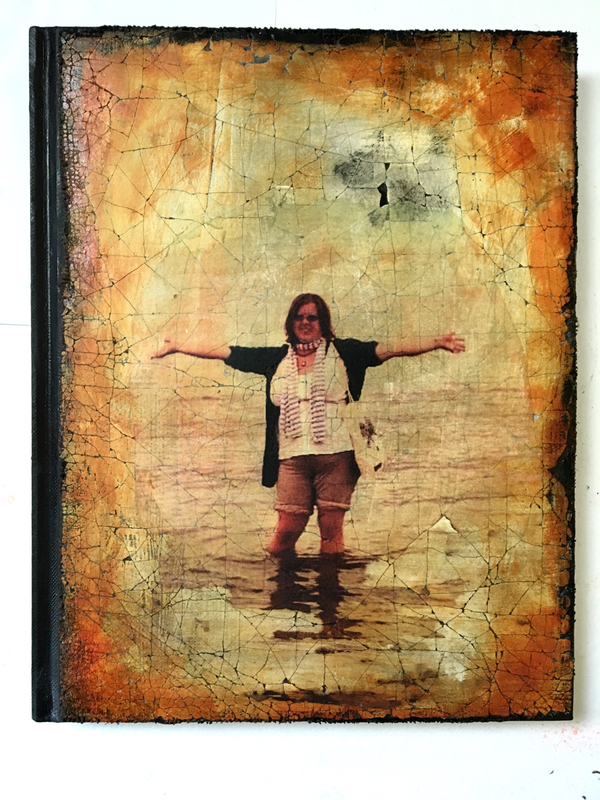 We will create a mixed media painting using either your own photograph or a copyright free image. ***A finished 8x10" plaster painting. We will create our substrate, learn how to create the crackled background and highlight the texture. ***Create our background and finish off our edges. ***Apply our photocopy and highlight the image. Using the basic techniques learned in project One we will create a hard, plaster surface for a new acrylic abstract painting..
We will move from random, impulsive and spontaneous movements of the brushes to a more focused approach of our composition as we edit and design the piece, bringing it to a gorgeous finish. I want to encourage you to explore the idea of using using different colors, patterns and additional techniques that allow you to express your unique personality. ***A finished 8x10" or larger Abstract Plaster Painting. ***How to apply paint to our background using both brushes and/or pallette knife. ***Seal and protect our finished painting. In this complete video lesson, I will walk you through how I create a beautiful, finished Plaster Cover for you art journal! You will fall in love with this idea! This class is for anyone wants to explore the use of Plaster in their painting process. 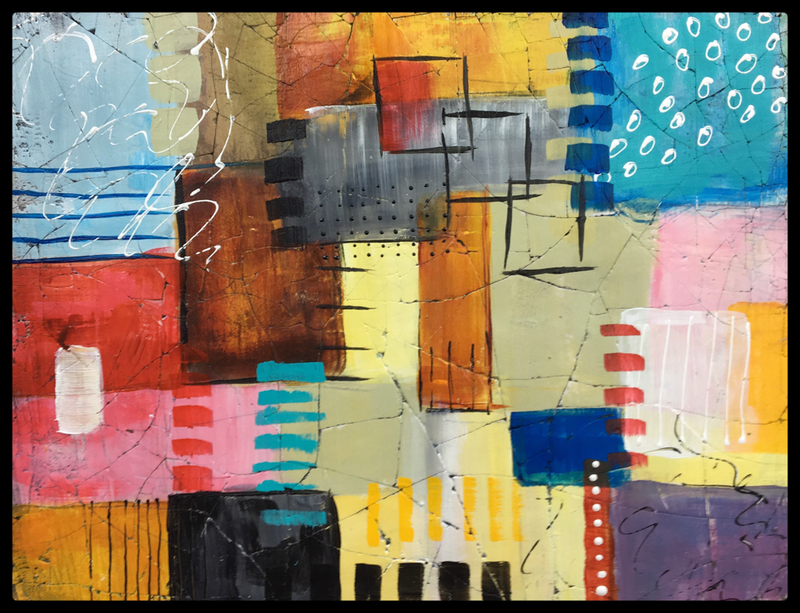 This class will focus on learning how to create a plaster substrate,the many uses of plaster in our artistic processes and other properties required to create visually harmonious pieces of work. Also remember - Take your time with the videos! You have lifetime access - so enjoy every minute and set your own pace. Connect with me and other students on our private Facebook page and have access to my favorite image resources and links to essential supplies. *** Paint Colors....These basic colors will be used for both of the projects and the Bonus Art Journal. You will need additional colors which I have listed at the beginning of each project. These colors may change based on your personal preferences or image choice. Blick matte Acrylic– (Raw Umber, Burnt Umber, Black ) Titanium White. I use all of these colors in the project demonstrations. You can substitute any of the colors with what you might already have. They don’t have to be fluid acrylics either. The GAC 500 medium converts regular acrylic paints and makes them more fluid. ***Golden Medium…GAC 500 Extends Fluid Acrylics/works like a Glazing fluid. Bonus Project....TissueTransfer Paper (does not need to be ART Tissue Paper---Paper from Hobby Lobby or Michaels works very well. Do Not Buy the burlap sold in floral or gardening aisles…Weave is too close.